BBQ Cleaning is Back! 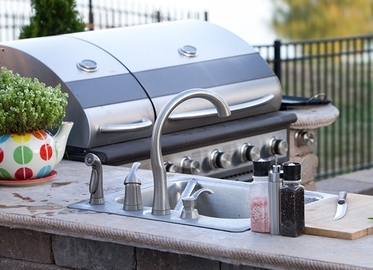 Deep Clean Your Outdoor BBQ With Bar-B-Clean. 4-Hour Service Includes Intensive Cleaning of Racks, Heat Plates, Interior and Exterior. Limited number of certificates available; Buy Early! Valid for BBQs up to 30 inches. Give your BBQ a good post-summer cleaning! Check out their amazing before and after pictures on their website! Why is our deal for Bar-B-Clean, THE experts in cleaning outdoor barbecues, always smoking hot? We think that it is because we burnt off $136 from the retail price! Since pictures speak 1,000 words, go to Bar-B-Clean/com/venturacounty and click the “Before & After" pics of outdoor barbecues transformed by the cleaning experts at Bar-B-Clean! Amazing, right? caused by rodents “partying” (and pooping) there. Plus, a good cleaning removes the old fat drippings inside the grate, which can become dangerous as they contain carcinogenic chemicals that can then transfer to your meat. This is no wham, bam, a little bit of stainless cleaner ma'am type of cleaning. Today's deal is for a comprehensive cleaning (takes approximately 3.5-4 hours) and includes cleaning of burners, heat plates, drip trays, grates, and interior/exterior for just $189, a savings of $136!